At LifeScan we hold our products to the highest standards of quality; constantly working to ensure they provide glucose results you can rely on. For that reason, we're also committed to communicating with you when we learn of product that does not meet our customers’ expectations. If you use the OneTouch® SureStep® Test Strips, have patients who use them or distribute the OneTouch® SureStep® Test Strips, please take note of the following information. We are immediately recalling 8 lots of OneTouch® SureStep® Test Strips because they may provide falsely low test results when your blood glucose is greater than 400 mg/dL. 1. Look at your test strip vials to see if you have any of the 8 recalled lots listed below. Lot #’s are located on the outer carton and test strip vial. 2. Click on the link below to order replacement product. Your new product(s) will be shipped to you immediately at no charge. 3. Alternatively, you may call Customer Service at 800 218-3168 between 5:00 a.m. to 7:00 pm Pacific Time, seven days a week if you need help checking your test strips, or if you have test strips from the lots listed above. Replacement product will be shipped to you immediately at no charge. While waiting for replacement product to arrive, it is important that you continue to test your blood glucose. If you have access to a meter that does not use OneTouch SureStep Test Strips, you should use this other meter to test until replacement product from LifeScan arrives. If an alternate meter is not available, you may continue to test using the recalled OneTouch SureStep Test Strips. However, if you obtain results above 400 mg/dL, you should contact you healthcare professional for further instructions because your glucose may be significantly higher. 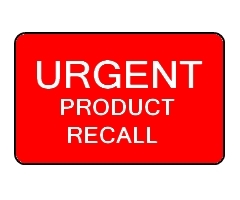 No injuries associated with these recalled test strips have been reported. However, if you use the falsely low test results to determine your insulin dose, you may give yourself too little insulin, which could result in poor blood glucose control. Patients with high blood glucose may or may not have certain symptoms including increased thirst, frequent urination, headaches, difficulty with concentration, blurred vision and fatigue (weak, tired feeling). High blood glucose must be identified and treated promptly to avoid serious complications, such as coma and death. Our first priority is to provide the highest quality products so that you can test with confidence as recommended by your healthcare professional. We apologize for any inconvenience this issue may cause and thank you for your continued support. Thoughts? Join the discussion in the Diabetes1 forums! Target Blood Glucose Range-What is Diabetes? Do you know the annual cost of managing your diabetes? Would you like to find ways to reduce your costs? Calculate your total budget and identify ways to save money. You can do this in just a few minutes by entering facts about the products you use. This quick analysis will provide you with a comprehensive overview of both spending and potential savings. Blood glucose monitors offer an easy way to test your blood sugar at home or on the go. Use this comparison tool as a guide to learn more about the features and benefits of your current monitor or to find a new one. Ever wonder if you are at a healthy weight? Then enter your height and weight in our advanced Body Mass Index (BMI) calculator. This tool provides you with two important numbers reflecting the estimated impact of your present body weight and shape upon your overall health. Last updated: Apr 19, 2019 © 2019 Body1 All rights reserved.